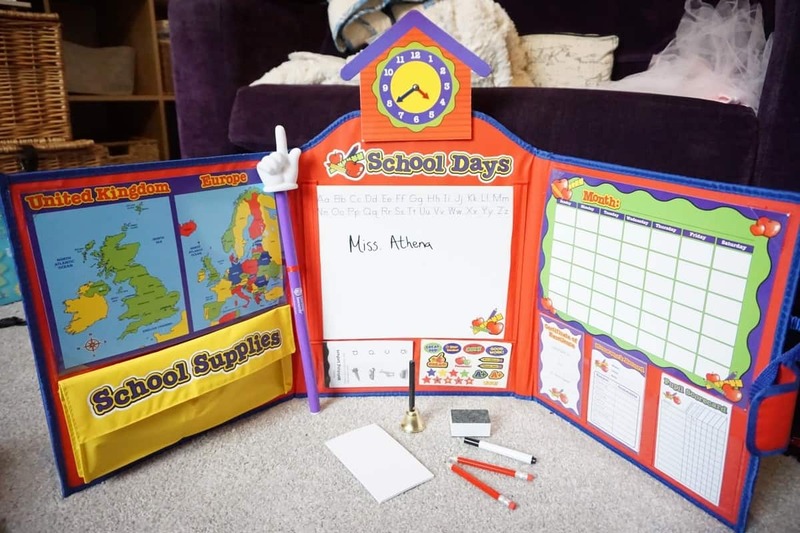 Since starting school in September Athena has completely fallen in love with it; there hasn’t been a day yet that she’s not been happy to go, and she practically skips into the classroom as soon as the door opens. She has also pretty much fallen in love with her teacher, which I guess is better than hating her. But half her sentences start with ‘my teacher says…’ and one way to get her to stop doing something she shouldn’t be is to tell her that her teacher wouldn’t like it! 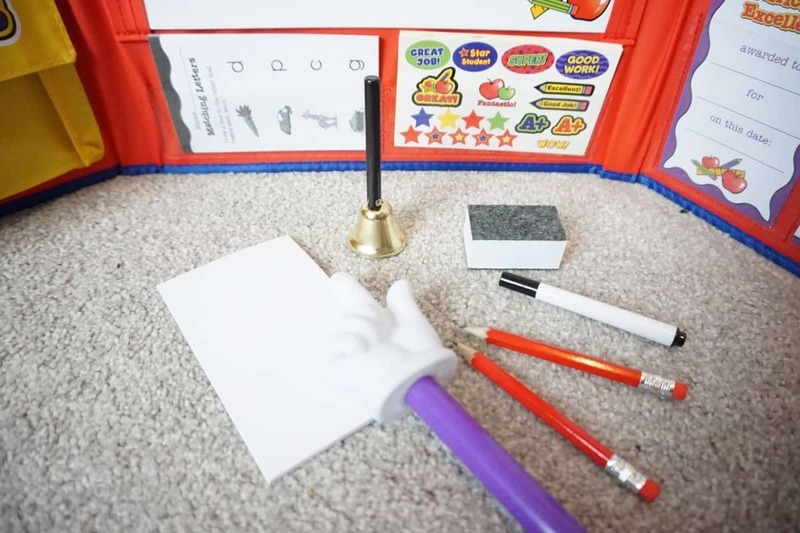 A few weeks after starting school I found her ‘teaching’ Arlo one day after school, with a few bits of paper and her felt tips out, but now she can teach proper lessons with the Pretend and Play School Set. It’s basically got everything she needs to run her classes successfully – apart from a student who pays attention… Arlo isn’t always the most attentive student! 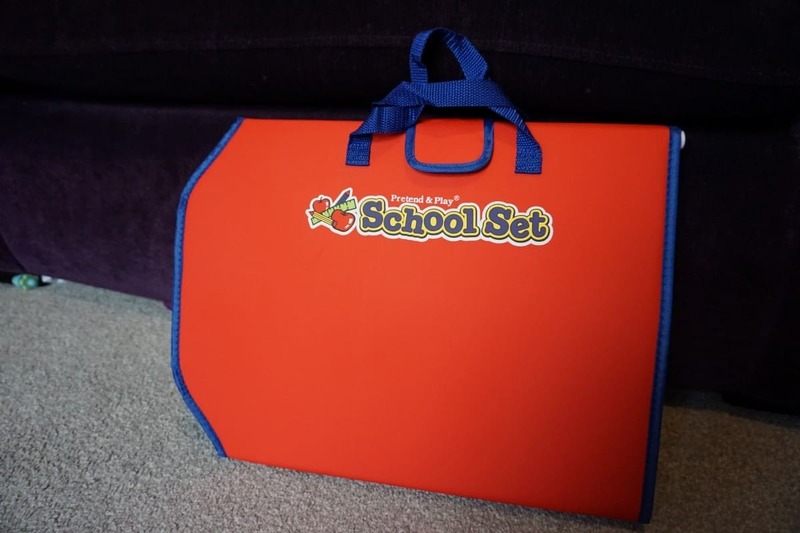 The School Set is in an easy to carry/store case and it opens out into a ready-made classroom, with the pen, pencils, bells etc all stored in a little pouch inside the classroom! A pointer, complete with a hand on the end! Athena has been loving writing on the whiteboard, and then pointing at it with the pointer… she said ‘even my teacher doesn’t have one of these’! 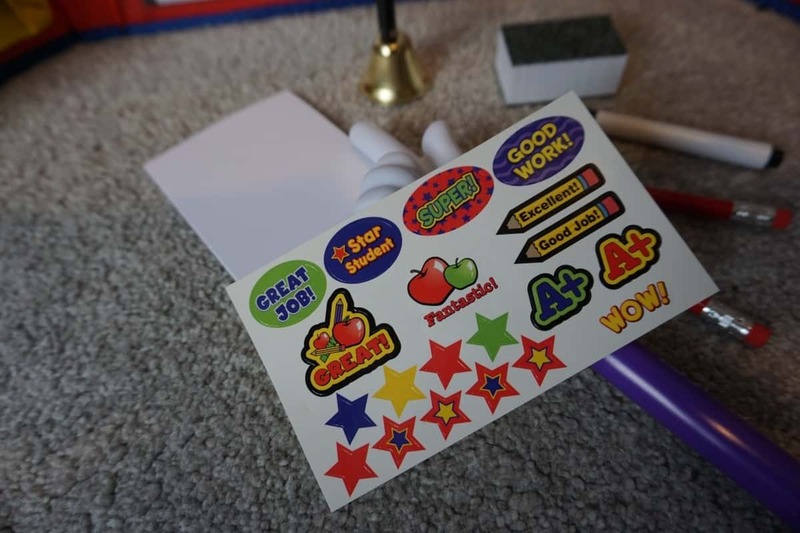 She’s been giving me and Arlo stickers from the included sheets for ‘good work mummy’. In turn I have been teaching her about England and everywhere she’s been in it with the included map. We’ve also been doing some time-telling practise too with the clock that sits atop the classroom. It’s such a cleverly designed toy, and so easily transported too, it came away with us last weekend and we’ll be taking it to grandmas house for our Christmas trip, she’ll have a few more students to teach! Arlo also has a new toy to play with, a microscope perfect for a boisterous little kid! 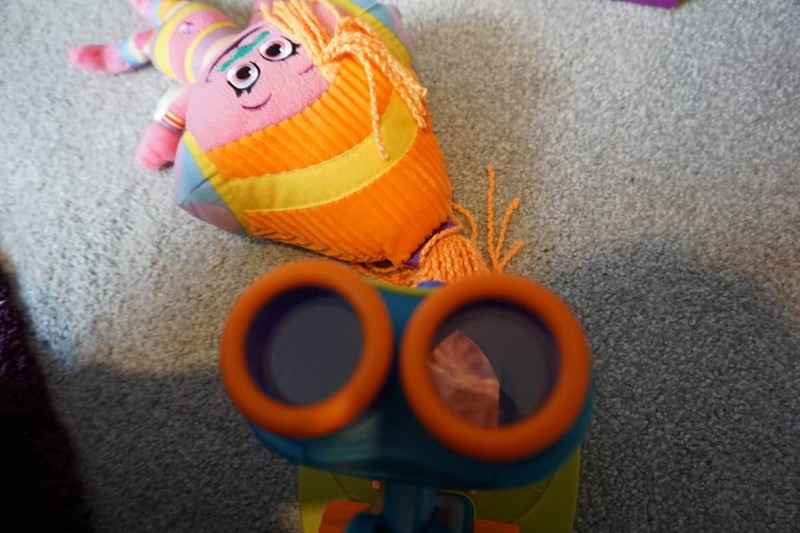 It’s a chunky, easy to use microscope and he has been loving collecting things from around the house to peer at through the magnified lens! With the addition of 3 aaa batteries there is a light to make whatever is under the lens even clearer. 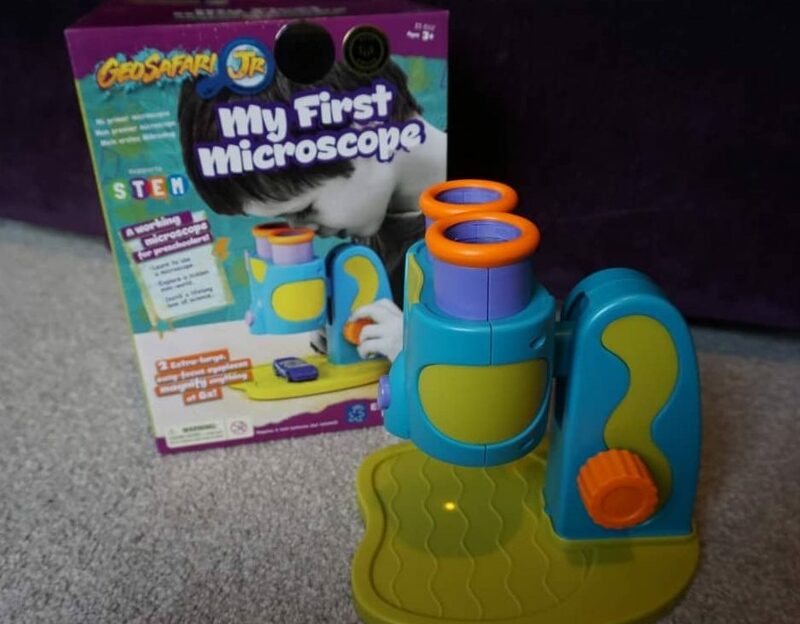 The My First Microscope has a double eye-piece, unlike those clanky and hard to use microscopes that I remember from my school days, where you had to squint through one eye and hover an indeterminate amount of inches above the eye piece to get a good view of whatever it is you were trying to look at! 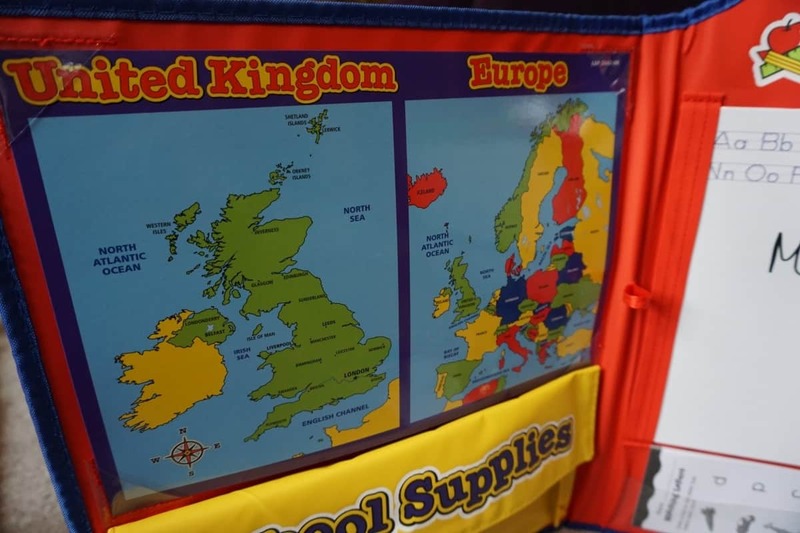 You can view the full range of educational toys from Learning Resources here, ideal for kids of 2-12!